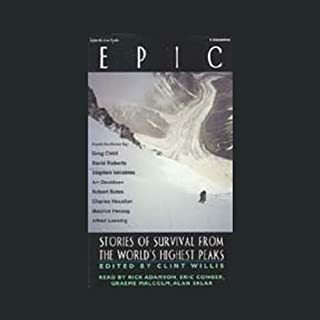 In an extraordinarily measured, even comforting tone of voice, Davidson reads his own story of surviving a harrowing near-death experience on Mount Rainier, Washington. In 1992, he and his mountain climbing partner, Mike Price, fell 80 feet into a glacier crevasse. The fall killed Price within minutes; Davidson, who was not badly hurt, escaped by climbing a vertical and sometimes overhanging ice wall 80 feet back to the top, where rescuers found him and brought him to safety. The benefit of hearing Davidson read his own story is obvious, and far outweighs the fact that he's not a professional voice-over actor. 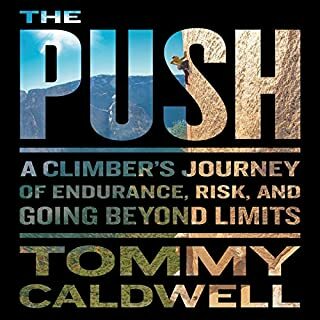 He brings to the narration the actual, physical experience of having lived through the events of the book: the terrifying fall into darkness, trying unsuccessfully to resuscitate Price, the excruciating moment when he realizes that if he doesn't climb out of the crevasse by nightfall, he'll die there. 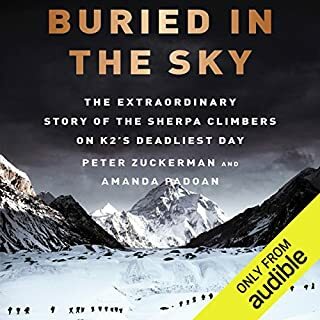 Davidson's voice has a Zen-like quality that makes it easier for the listener to understand how he found the incredible physical and mental strength necessary to climb out of the crevasse and save his own life. The calm, even tenor of his voice suggests both his presence of mind and the fact that he has examined each scene of the story and fully understands what the experience meant to him and the insights it has brought to his life. On June 21, 1992, two best friends summited Mount Rainier. Within hours, their exquisite accomplishment would be overshadowed by tragedy. On their descent, Jim Davidson fell through an ice bridge on Rainier's northeast flank, plunging eighty feet into a narrow crevasse inside the Emmons Glacier and dragging Mike Price in after him. 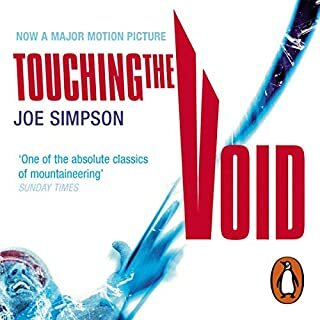 Mike fell to his death; Jim, badly injured and armed with minimal gear, faced an almost impossible climb back out of the crevasse, up a nearly vertical ice wall. Mourning his friend's death, he miraculously climbed out of the crevasse and lived to relate his experiences. 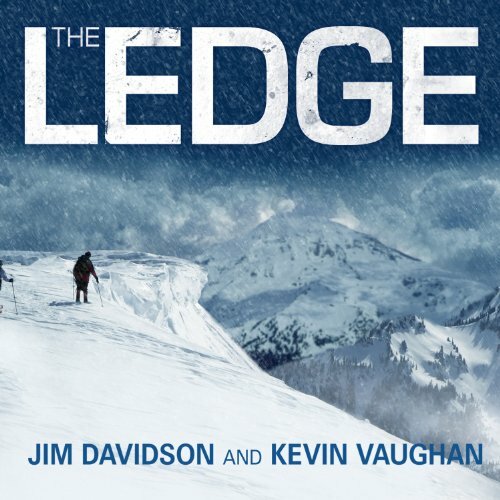 Told in parallel narratives of the tragedy and the climbers' lives, The Ledge is both a riveting, wrenching story and an inspirational adventure tale. Jim is not a seasoned writer but his words are well thought out. He has put a lot of work into dealing with and portraying every detail, emotional and physical, of a tragic climbing accident. Fantastic post read to "Deep Survival"
Awesome book arraigned modestly and with raw emotion. 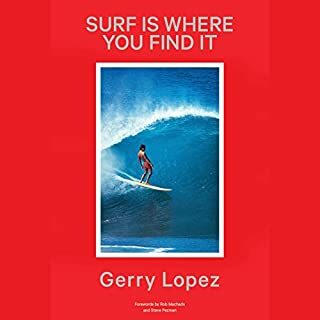 Great read for adventure, military and first responders. Enjoyed very much until last couple of chapters which could have been nicely summed up in several paragraphs. Interesting story, well told. It starts slowly with the necessary background info but i listened to the entire book in a single day because it became that compelling. 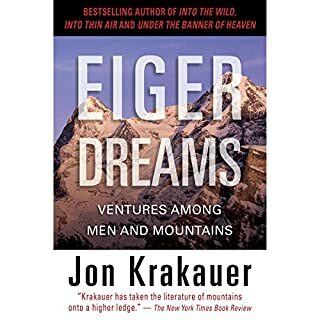 Overall a good story of Jim's tragic account during a climb on Mount Rainier, and the circumstances he had to overcome to survive (although his friend Mike did not). I found it informative and contemplative, and wondered how I would have handled it if faced with a similar situation. There were some parts of the book which I thought were far longer than they needed to be. His account of climbing out of the crevasse seemed to take a long, long time to describe. Also the end of the book (after being rescued) also seemed unnecessarily long. You would think the book would end, but it kept going. (For example, it went into lengthy descriptions of Jim's dealing with the tragedy, which included more details about Buddhist ceremonies than I wanted to know). At these parts the story dragged and I found myself wishing it would skip over some details and would move on. Overall, still a good book that I would recommend to anyone who would like to learn from a true survival story. Just a great story and the effects of Mountains. I can't say anything that hasn't already been said. I first read about this from an article I read in Climbing magazine. The whole time I listened I kept thinking, how would I react in this situation. I loved how the author scratched the blood off the wall in the cravasse because it was a false high point. SO COOL. Way to be true to your self. A friend who had read the print version of this book recommended it to me. When I found it on Audible, I was a little apprehensive because I have never been a big fan of "narrated by the author" books. In my experience, there are few people who can do both well (Neil Gaiman comes to mind). In this particular case, the author, who lived through this amazing experience, is the perfect choice to recount what happened. The emotion and intensity of what happened is there, but not over the top. He really brought something to this story in his reading of it. I'm going to recommend the audiobook version back to my friend! Not really, but he does kind of draw it out with all the talk of going to Nepal, but I understand as it was to honor his friend. What was one of the most memorable moments of The Ledge? The parts where he cared so much for his friend that he still treated his body like it was still alive and important, and did not want to lose him. No much. He was an armature, but it was cool that it was the real guy. I think it is already on a tv show "I shouldn't be alive".